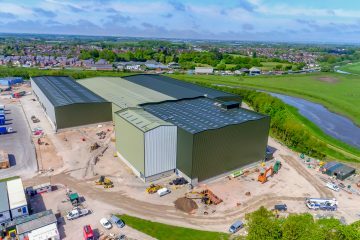 We provide drone aerial photography at Preston in Lancashire to document the progress of the construction of a Pet Food Factory for GA Pet Foods. 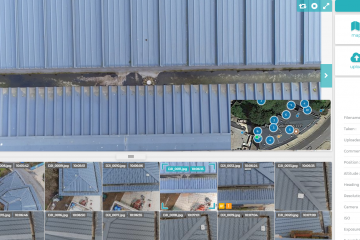 Our drone team visit the site every month to document the progress of the construction. Our drones fly over the site to record video and photographs to keep the team updated and help in planning and marketing. In addition to aerial photography we also provide ground filming inside the construction. The factory when complete will be one of the most technically advanced of its type in the world. The fitting out inside the construction is by far the largest part of the works and so recording this work in detail is vital. It was for this reason that GA chose Hopgrove Productions as we specialise in conventional ground filming using our unique Steadicam. Our Steadicam system allows us to easily and safely film the fitting-out of the factory. We first visited the site in February 2017 and the construction is expected to take 2 years. Our production team produce a 3 minute video from each site visit which is used on the clients website and on social media. 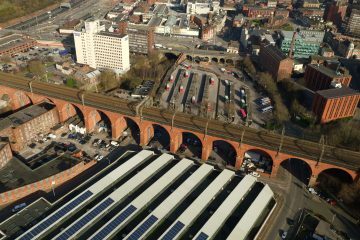 A set of high quality aerial photographs is also included which are used for social media and large printing. 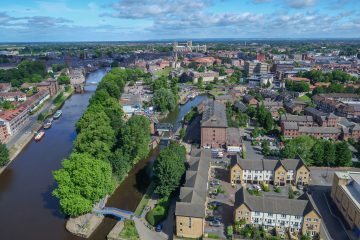 Because Hopgrove are fully certified by the Civil Aviation Authority for commercial drone filming hire in Yorkshire, we are able to film from the air with all of the required permissions in place and ensure we are always legally compliant on site. Together with the £10 million public liability insurance we carry and the CSCS certification for construction site safety, we were able to film alongside the construction team as they worked to complete the project.